Prominent & Leading Manufacturer from New Delhi, we offer weight loss product, weight loss capsules, slim veda oil, slim veda kit and slimming supplement. Packaging Size 100 gm, 200 gm. We are wholesaling a wide range of Herbal Medicines for Weight Loss. These are manufactured using high-grade herbal products. 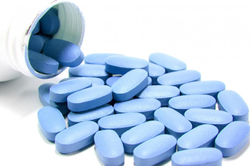 These medicines are highly effective and free from side effects. Backed by extensive research based formula, Weight Loss Capsules offered are clinically proven for maintaining superior health & body fitness. As the product is 100% herbal, it also does not have any side effects with its continuous use providing for quick beneficial results related to weight loss and slimming. Featuring high dosage of herbs, the capsules support faster burning of excess body fat with the presence of thermogenic herbs like Green tea, Shuddha Guggulu that support stimulation of body's metabolism and in suppressing food craving. Some other benefits include reducing bad cholesterol, lowering Triglycerides, regulating total lipid profile to healthy levels. Available under brand name Slim Veda, Slim Veda Oil features rich herbal composition that promotes weight loss. Backed by extensive research, Slim Veda is a clinically proven weight loss option with its special herbal oil supporting tightening of loose skin. Being 100% herbal and having no side effects, it provides for assured results with continuous use. Slim Veda also has a higher dosage of herbs for more effective weight loss by burning excess body fat. The oil also has the presence of thermogenic herbs like Shuddha Guggulu, Garcinia Combogia and others that help in stimulating body's metabolism which leads to body fat burning. Herbal Weight loss program with a combination of 2 capsules and one oil. 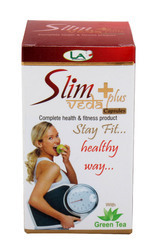 Slim veda is a scientifically and clinically proven health and fitness kit. It has 2 herbal capsules: 2 Daily Capsules and 10 P.M capsules and a special Herbal oil for tightening of loose skin. These 2 different capsules have different actions in the body. 2 Daily Capsules have to be taken twice daily and 10 P.M capsule: one capsule before bedtime with warm water or milk. 2 Daily capsules have thermogenic herbs like Gree Tea, Shuddhu Guggulu, Garcinia indica which stimulate the body's metabolism to burn more fats; suppress food craving, interfere with the absorption of carbohydrates into fat inside the body. Guggulipid from Guggulu reduces bad cholesterol, LDL and Triglycerides. Slim Veda has Green Tea.An Ancient Chinese proverb says " Better to be deprived of food for three days than tea for one ".That is the miracle of green tea.The secret of Green Tea lies in its rich content of catechin polyphenols, particularly ECGC (Epigallocatechin Gallate).ECGD is a powerful anti-oxidant which fights cancer, lowers LDL. ECGC derived form Green Tea is the reason to explain the low rate of heart diseases among Japenese men, even though 75% are smokers. Slim Veda will thus make you feel healthier, feel more energetic and regenerate your beauty and make you slim. Quality constitution based slimming supplements support weight management, healthy blood circulation, regulating body cholesterol levels and in maintaining healthy joints. Working as a natural tonic for maintaining overall improvement of health, the presence of herbs like Shuddha Guggulu, Garcinia Combogia and others in the constitution also helps in stimulating body's metabolism for burning fat. Some of its other derived benefits include increasing body's Basal metabolic rate, reducing bad cholesterol, regulating total lipid profile to healthy levels, lowering LDL cholesterol levels.